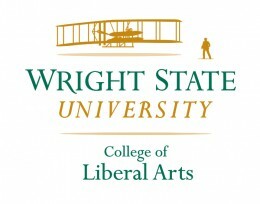 High school students and their parents can learn about the liberal arts during a special open house at Wright State University on Presidents Day, Monday, Feb. 17. The College of Liberal Arts (COLA) will host its first Pathways to Success Open House from 9 a.m. to 12:30 p.m. in Millett Hall. High school students can visit with representatives from the college’s departments and programs, learn about extracurricular organizations, observe a class, visit the Creative Arts Center and tour campus. Attendees will have the opportunity to win door prizes, including a Nook tablet. The open house includes panel discussions with current Wright State students who will discuss their experiences at the university, and with COLA alumni who will talk about career fields for liberal arts majors. Attendees can learn more about the college’s departments: Art and Art History; Classics, Philosophy, Religion; Communications; English; History; Modern Languages; Music; Political Science; Social Work; Sociology and Anthropology; Theatre, Dance, and Motion Pictures; and Urban Affairs and Geography. Information will also be provided on the college’s interdisciplinary programs: African and African American Studies, Crime and Justice Studies, International Studies, Liberal Studies, Social Science Education and Women’s Studies. Registration and program information are available on the COLA website.